BERKELEY, Calif. (KGO) -- There have been 16 shootings since last November on five Bay Area highways and roads. Police from all over the Bay Area say they've been working hard to arrest suspects. Ten of the shootings occurred along I-80, two each along I-580 and State Route 4. One happened on I-880 and State Route 242. Any way you look at it, motorists say those numbers are alarming. At a gas station off of I-80, drivers know there are risks to the road. "I'm always on the freeway," Graal Swartz said. However, Swartz was alarmed to hear the danger comes from someone with a gun and not a steering wheel in their hands. 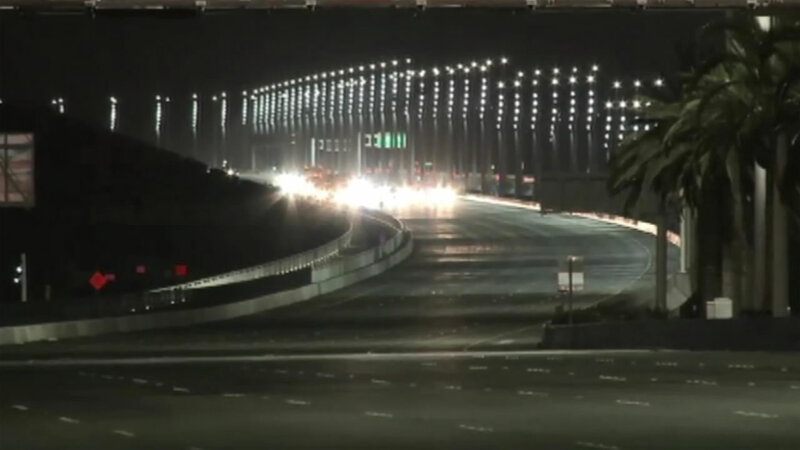 Last month, a party bus was shot at coming off of the eastern span of the Bay Bridge. In February, 39-year-old Leslie Graham was killed while driving westbound on I-80. In December, a portion of Highway 242 was shut down after an SUV pulled up next to a Mercedes Benz and shot the driver multiple times. These are just a sample of the 16 highway shootings in Alameda and Contra Costs County in the past five months. "I think that's terrifying. To be honest, I didn't know there was that many shootings going on like an epidemic," Swartz said. Albert Ward is in town to check out the boat show in Richmond. "Obviously, just minding my own business, going to a boat show and to end up in the middle of a shooting would be a pretty traumatic incident," he said. CHP says without exception, the highway shootings are gang related and not random. That doesn't put San Francisco resident Rick Decost at ease. "They could always shoot the wrong person, right?" Decost pointed out. What's more, investigators said that because the shootings are gang related, victims and witnesses often refuse to help. "These days, it seems like gangs are pretty merciless with retaliation," Decost said. A task force started targeting gang members in March. So far, officers have taken 29 guns off the street and put 77 people in jail. On Saturday, McCoy Tiasawn was arrested for attempted murder related to one of the freeway shootings in Pittsburg. He's being held on $1.3 million bail. CHP says it's a priority to make an arrest in all 16 highway shootings.